Wooden chew sticks allow your hammie to bite into something healthy when he feels the need to start gnawing on something because of his growing teeth. But some hamsters scoff at the mention of a chew stick and instead bite everything else, including the bars of their cage. Changing to a different stick, taking a knife to the stick or smothering it with tastiness can persuade your hammie to munch. Try a different type of stick. Your hamster might turn up his nose when he sees a long, thin chew stick but gnaw down on a thicker, bar-shaped stick. He may shun colored sticks, preferring natural wood color instead. 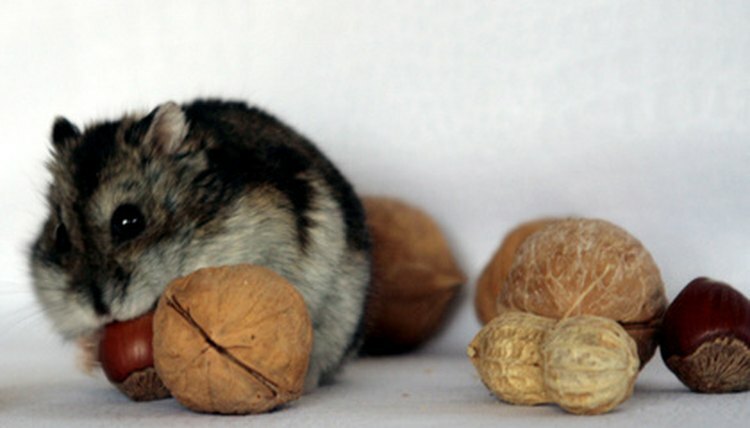 Try different types and see what your hammie enjoys the most. Spread a thin film of honey over a small portion of the chew stick. A tiny amount will do. The idea here is twofold. You want to make your hamster realize the chew stick is something he can and should eat, and you want him to think something awesome comes out of chewing on it. Sometimes it doesn't work: Your hammie might bite the chew stick only when there’s honey on it, which isn’t what you’re aiming for. You don’t want to constantly coat the stick in honey. Rub a carrot on it. Outwit your hammie by making him think he’s chewing on a carrot stick rather than wood. Take a carrot and start rubbing it all over the chew stick, as if the carrot is an eraser and the chew stick is a big mistake you need to remove. After the stick has an orange tinge and smells like a carrot, place it in front of your hammie. Shave off the outer layer of a chew stick. By taking a knife to the stick, you’ll release a stronger smell of wood, which might entice your hammie to wander over and start sinking his teeth into the stick. Opt for a chew stick alternative if your hammie refuses to gnaw on wood. Some do. But you can’t allow his teeth to grow long and out of control. Try something similar to chew sticks, such as edible wooden hamster houses or unflavored dog biscuits.  Chew sticks with baked-on food exist, but they typically aren’t effective at keeping a hamster’s teeth in check because they're too soft.  Rather than honey or carrot, coat a stick with whatever treat your hamster enjoys the most. For example, you might microwave a yogurt drop and then brush the sticky liquid onto the stick, or rub a piece of broccoli along the stick. Make sure anything you microwave feels cool to the touch before you give it to your hamster. ⚠ Use little honey, especially if you have a dwarf hamster. Sugar is dangerous because dwarfs are prone to diabetes. Hamster Club: Can Hamsters Be Trained Not to Gnaw?